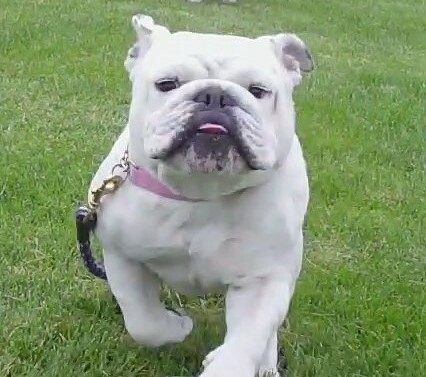 Daisy loved to run free in the park. 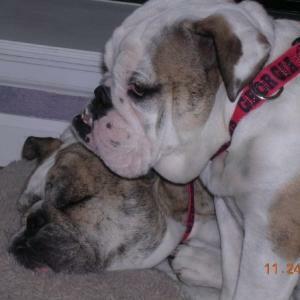 Daisy was such a precious girl. She was a special gift from my sons. They researched high and low to find my first show girl. 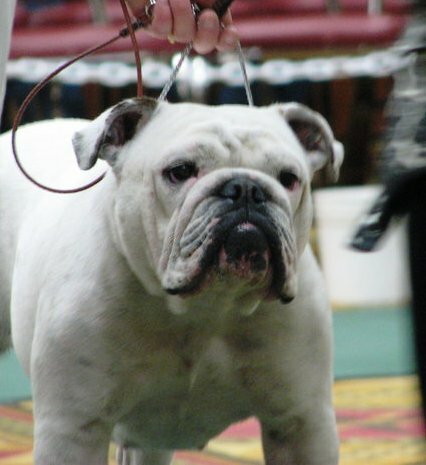 Daisy didnt care a whole lot for showing but she was always a champion in our hearts. 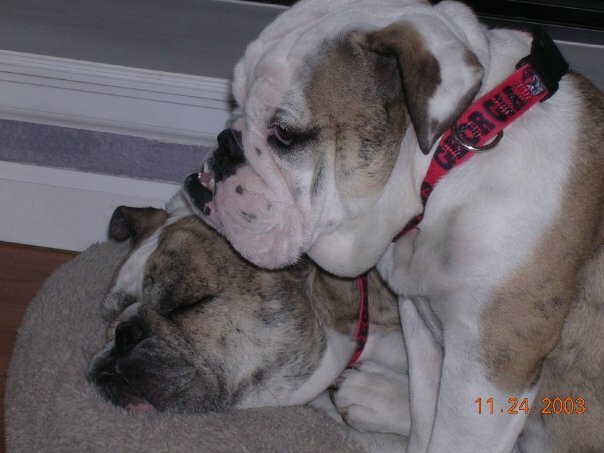 She was my "love Bulldog" and Daddy's Little Flower. We miss her so much. 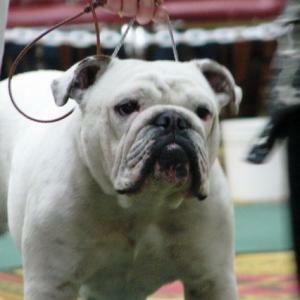 It is so hard to lose a Bulldog. They become part of your family. 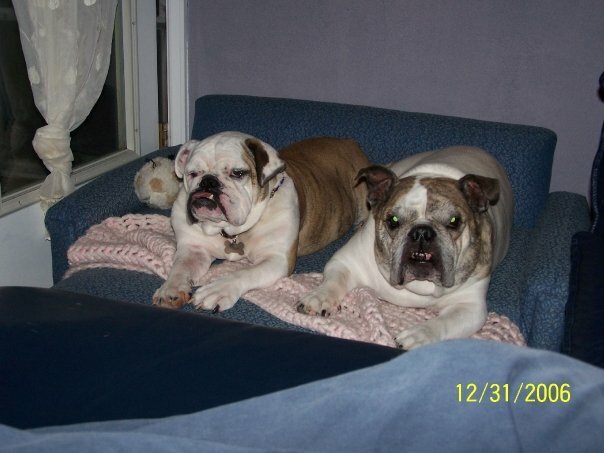 Spike was our first Bullie and he lived to be almost 13! He was a rock. 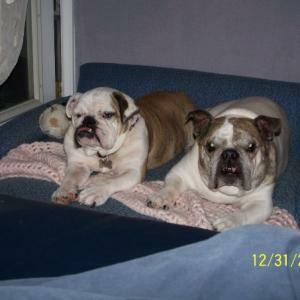 Petunia was my first girl and losing her was devastating to me. She developed a rare skin cancer and passed just before her 6th Birthday. Some people believe that Heaven is not for pets, but I believe that God wants us to be happy and if our pets make us happy, we will see them again. 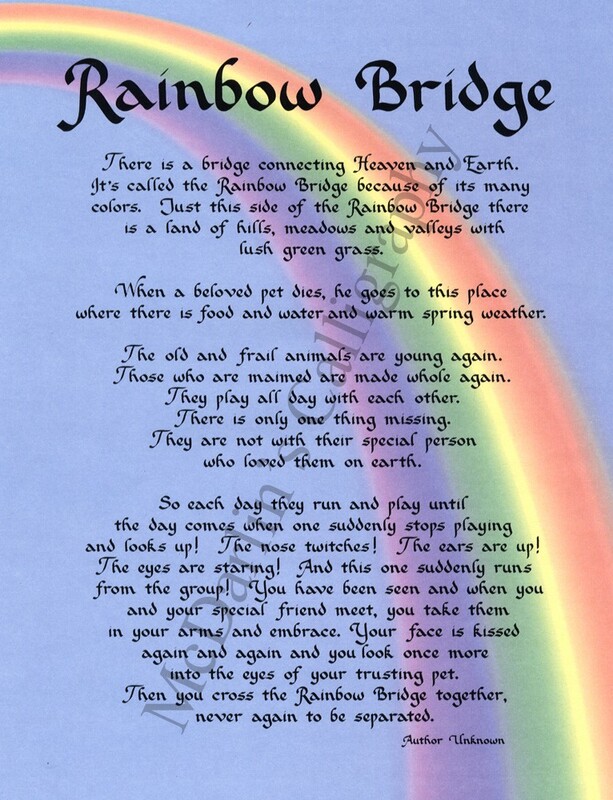 I hope they are having fun at the Rainbow Bridge.